Without a doubt, summer is the best time to update your business website. Take this opportunity to experiment with new ideas, create interesting blog posts, add company images, and discover ways of enhancing the customer experience. For many businesses, the website is the face of the company. Therefore, updating your site should take top priority during these summer months. 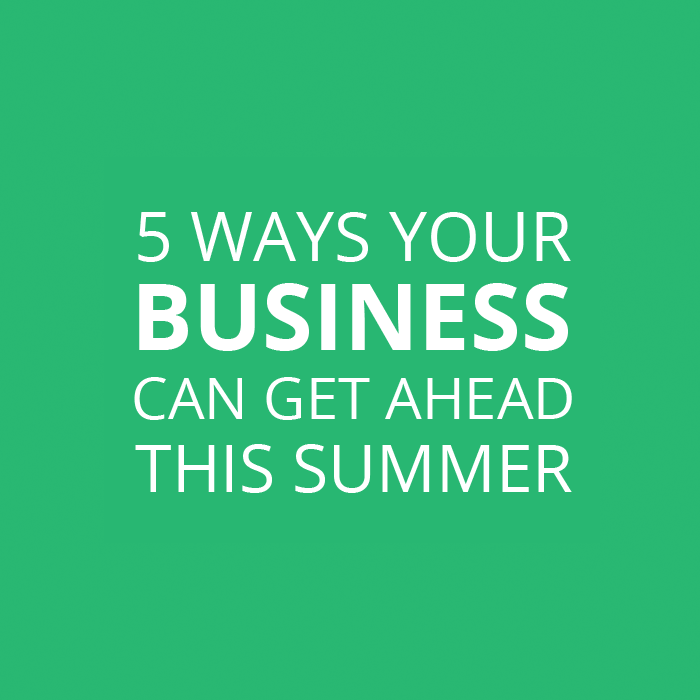 In addition to updating your website, the summer months are a great opportunity to get ahead on business decisions. Take some time to evaluate the various services essential to your business. In terms of work efficiency, what areas could use improvement? Are the services a good fit? Are they cost effective? Given the competitive nature in today's world, there are plenty of options out there. For this reason, summer is the perfect time to take advantage of free trials. Pick a few services, and give them a try. Look for trials that provide an ample amount of time to fully test the service. Here at Webtimeclock, we give customers 15 days to try out our online time clock system. A simple two-week trial can go a long way if it improves the efficiency of your company. Another way to get ahead during the summer months is to focus on accounting. Given that tax season has just ended, there is a lower demand for accounting services. Therefore, June and July are excellent months to meet with financial advisors. It's never too early to plan for the next tax season. Spend some time organizing your receipts and forms, and you'll be in great shape by the end of the year. Getting out of town is an excellent way to recharge the batteries. By removing yourself from the daily grind at work, you will breathe easier, feel healthier, and increase overall levels of wellbeing. But aside from the many personal benefits, traveling over summer will also help your company thrive. Therefore, when booking your trip, consider choosing a multi-purpose destination. Think in terms of personal preference, such as whether you're more of a beach person or an adventure seeker, and in terms of the greater good of your company, such as the long-term benefits of the trip. Take a few minutes to go over your business contacts, which may include: existing and prospective customers, businesses you work with, extended family, etc. and find out where they are. The goal is to choose a destination that fits your relaxation needs AND gives you the chance to meet with a few important contacts. The next step is to give these clients/contacts a call, and find out if they'll be in town while you are visiting. Ask if it is possible to explore their facility, meet with their team members, and/or have lunch together. Even if you only have time for a cup of coffee, any time together (no matter the duration) demonstrates initiative on your part and ultimately builds and strengthens long-term relationships. For that reason, traveling should definitely be on your to-do list this summer. As the summer months heat up, plan on creating a comfortable environment for your workers. A good starting point is tidying up the office. Spend a few minutes getting rid of unnecessary stacks of paper and junk, clear out your desk drawers and filing cabinets, and wipe down any surfaces. Give some attention to commonly used spaces, such as the break room and meeting room. Rearrange any furniture to create a functional flow. Perhaps dim the lights to create a cool and comfortable space to relieve the harsh summer sun. Think of this time as a fresh beginning. After a thorough cleaning, open the windows and let the nice summer breeze come through. Once the office is clean, think about planning fun bonding activities for the employees. Some suggestions include: a company barbecue, a day at the beach, game night, etc. Bonding is an excellent way for people to get to know each other, relax, and feel more comfortable within the company. Building trust and friendship among the employees will foster a positive work environment well beyond the summer months. Finally, spend some time on yourself! You've been working hard all year, and you deserve a break. Make time this summer to read a new book, hang out with your friends and family, and go outside. It's easy getting caught up in the fast paced nature of a busy work life, especially during peak months. Therefore, if your business sees a slow down during these next few months, try not to worry. This extra time can be productive and beneficial. Use your time wisely, and you'll come out ahead.